Control your environment with Modern’s Dux outdoor blinds. Australian designed and made, our Dux outdoor blinds are made to withstand the elements. Weatherproof your outdoor space year-round with our superior external blinds. Our Dux Outdoor Blinds provide exceptional shade and privacy for both commercial and residential spaces. Unobtrusive and functional means Dux Outdoor Blinds complement any outdoor space. Made from the best stainless steel, aluminium and screening fabric Dux Outdoor Blinds are designed to last, without wear marks. 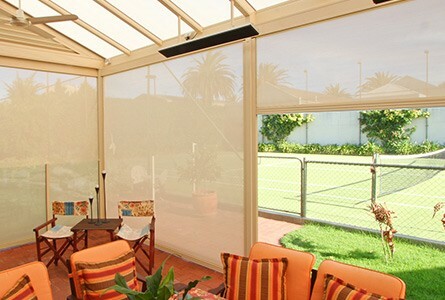 Easy to use, one-handed operation makes Dux Outdoor Blinds a breeze to use. No ropes, pulleys, zippers or straps. 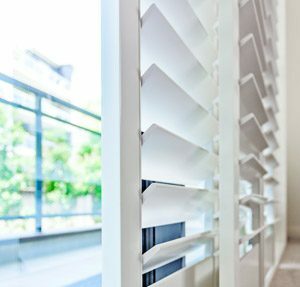 Motorise your blinds to take them to that next level. Transform your living area with a wide range of colour and design options available. 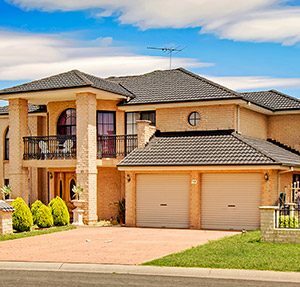 Owned and made locally in Australia ensures your blinds are installed in no time. Control your environment, privacy and comfort with minimal effort. Block out sun, wind, rain and even insects; raise, lower and lock blinds into position one-handed and without needing to move around the blind. Made using high-quality materials, our Envirotex fabrics not only provide you with a premium choice for your outdoor space, but they also come in a range of exciting colours. With a 94% light transmission, our Envirotex PLUS range is our most popular choice, providing the ideal balance between excellent vision and weather protection. This allows for good vision outwards in the daytime while letting you maintain your privacy. Made using clear or tinted PVC, Modern Caf‌é Blinds are perfect for creating a cosy yet comfortable environment while maintaining an open feel. Café blinds help with controlling airflow and providing an extension of your outdoor space while still protecting the area from insects, dust and debris. 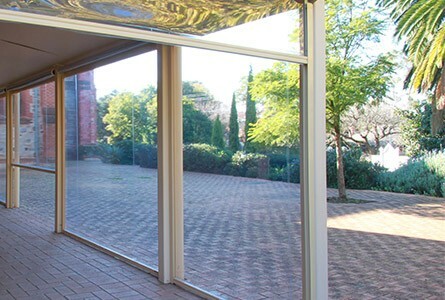 Dux outdoor blinds provide clean functional lines that will enhance the look of your outdoor area. Dux Outdoor Blinds will help to create the perfect outdoor area all year round. Made from the highest quality of materials, so you don’t have to worry about loud fabric flapping, tight stretching or fabric wear. Made with the environment in mind, Modern offers the best materials available on the market to help reduce our carbon footprint. Available in a range of colours and applications, you will be spoilt for choice.